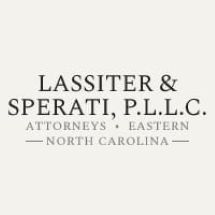 Our law office, Lassiter & Sperati, PLLC, located in Rocky Mount, North Carolina, offers over a century of vigorous legal representation to our clients. Our driving principles include providing diligent representation, responsive service and reasonable fees. Our criminal law clients receive effective legal representation with a vigorous approach. A strong criminal defense approach requires a consistent effort and results in protection of each and every client, regardless of the charges, which often include drug offenses, DWI violations and traffic offenses. Our multiservice real estate law office handles more than just closings. Along with foreclosures, it offers resources that address a wide range of real estate legal matter so all of our clients' real property needs are met. We believe in the importance of resolving our clients' legal matters economically and expeditiously. Our mission in doing so is most enhanced by understanding that many client matters involve complex law encompassing multiple legal fields at once. Our business law attorneys recognize the close intertwining of legal matters that often cross the lines between business formation, contract disputes, commercial litigation and other areas. As such, our lawyers operate as a team, each sharing a particular knowledge set and vast experience to provide value-added solutions for our clients. Whether our clients' needs involve civil litigation or commercial collection issues, we share case-specific options with our clients so they can decide how they want to proceed to reach their goals. We then work diligently on their behalf to achieve those goals. We understand that some legal matters are deeply personal. Our lawyers who represent clients with their probate matters, wills and trusts, as well as other areas, provide regular communications with our clients so they remain consistently informed and up-to-date. We share case-specific options with our clients so they can decide how they want to proceed to reach their goals. We then work diligently on their behalf to achieve those goals. Our Lassiter & Sperati, PLLC, law office provides free initial consultations. We also accept credit cards.